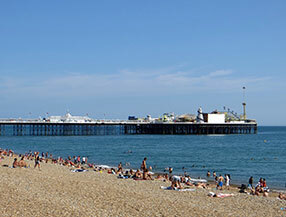 The Brighton Alexander Technique College is in the historic City of Brighton and Hove on the south coast of England, approximately one hour from London by train. The City, with its famous Royal Pavilion, is a major cultural centre, with two universities, numerous schools for foreign language students, theatres, cinemas, literally dozens of restaurants and an excellent shopping centre. 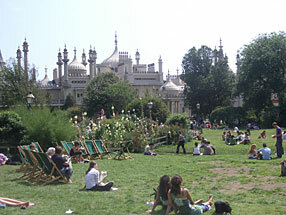 There is an extensive network of cycle paths, both along the seafront and throughout the City. 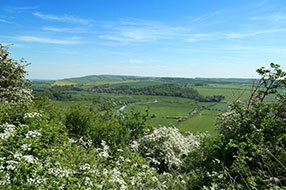 The South Downs are within easy reach and offer panoramic views over the surrounding countryside. This is a beautiful part of Hove right next to the famous floral clock and well supplied with coffee shops, restaurants, and bars. The beach is a ten minute walk from the college premises.